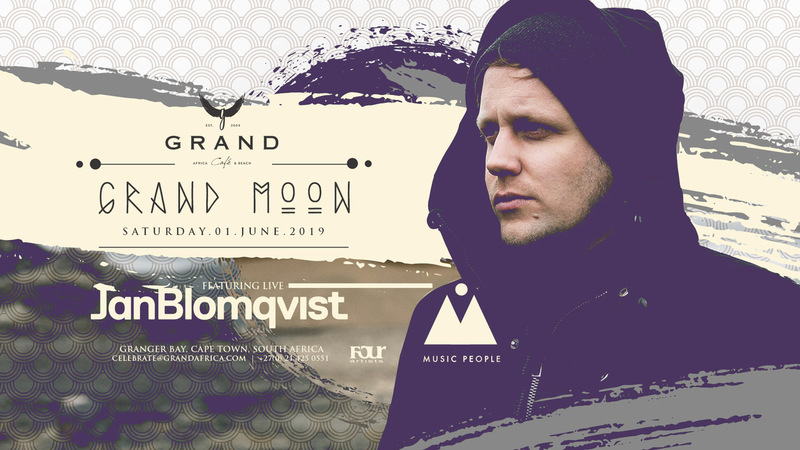 Music People in collaboration with Grand Africa are heating things up this Winter with the uniquely memorable and much anticipated GRAND MOON party that is not to be missed! Designed to stimulate the senses, Grand Moon, will transport you to a fantasy realm with stellar music, exquisite food, drinks and festival fashion. Join us as day turns into night with the sights and sounds of show-stopping aerial acrobatic performances from Sacred Performances (Ibiza) and this year's headline act Jan Blomqvist, captivating us with his dreamy vocals, seamless melodic beats and a sloping sound that is sure to give you goosebumps. Celebrate the season with magic that will have you dancing against the backdrop of the setting sun and rising moon at one of Cape Town's most esteemed venues.